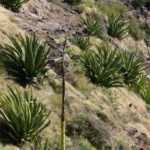 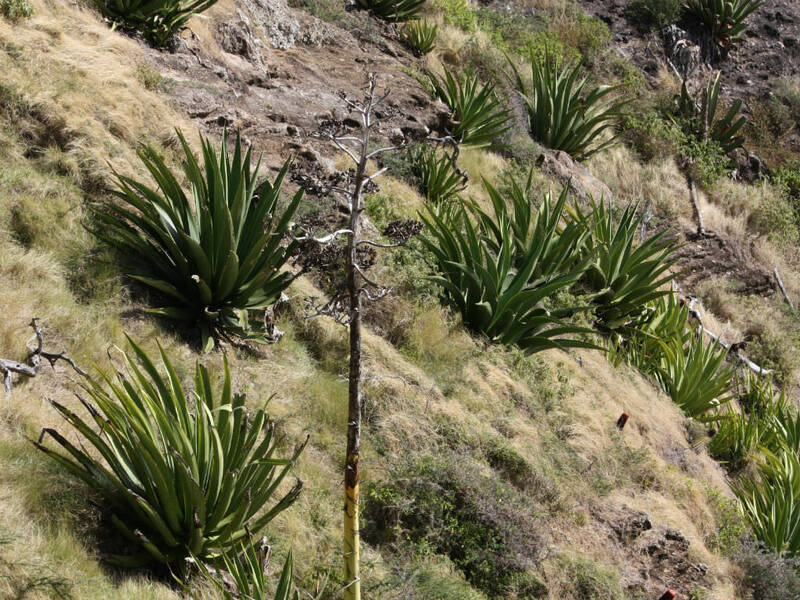 Agave karatto it is the national flower of Antigua and Barbuda. 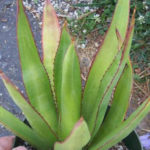 The rosettes are up to 10 feet (3 m) wide. 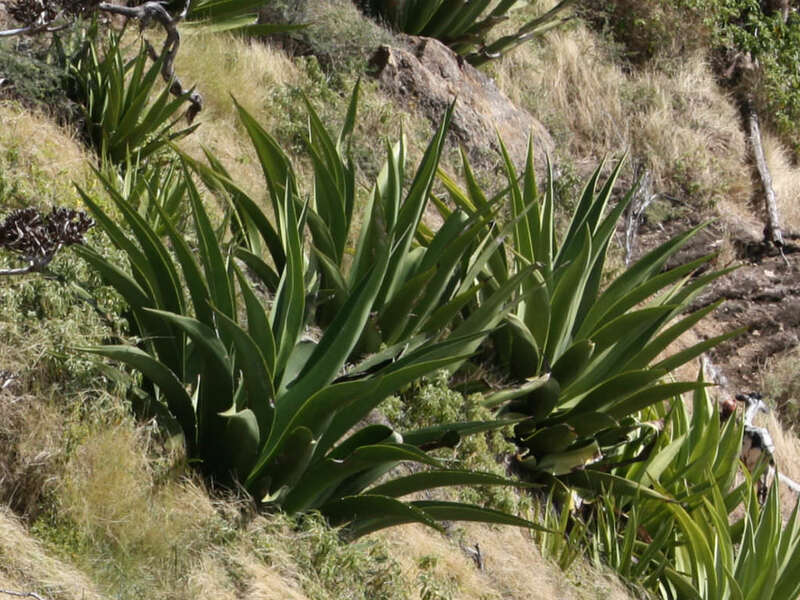 The leaves are dagger-like, medium green, up to 3 feet (1 m) long, with sharp tips and small teeth along the edges. 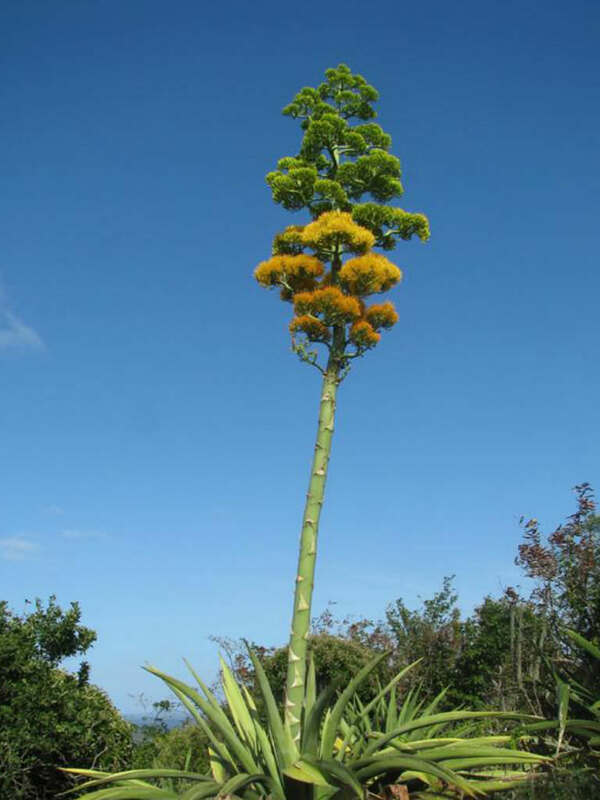 The flowering spike is up to 18 feet (5.5 m) high, multiply branched near the top. 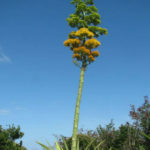 Flowers are yellow in color.. After flowering, numerous bulbils appear near the spent flowers, forming new plants which shortly drop to the ground. 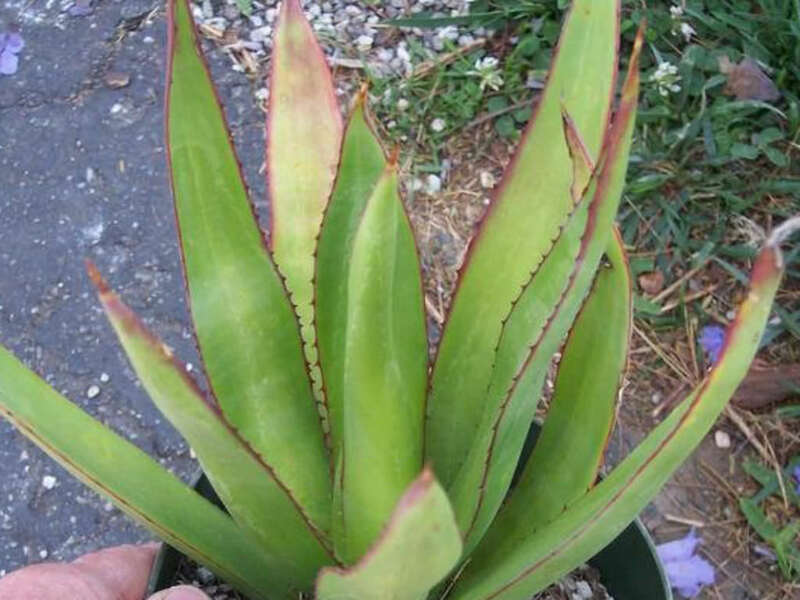 Native to the Windward Islands of the Caribbean West Indies.